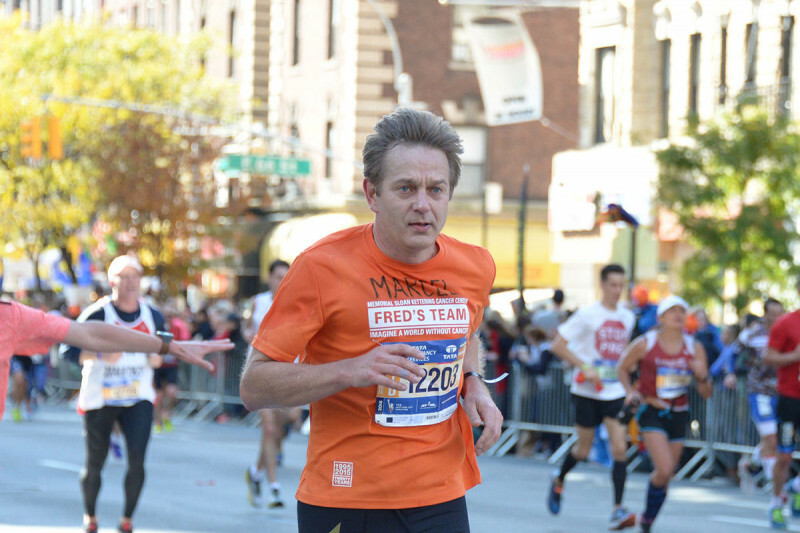 Physician-scientist Marcel van den Brink has run the New York City Marathon more than a dozen times for Fred’s Team, a fundraising program that’s part of Memorial Sloan Kettering. Here, he tells us how the funds raised benefit research at MSK into blood cancers and more. 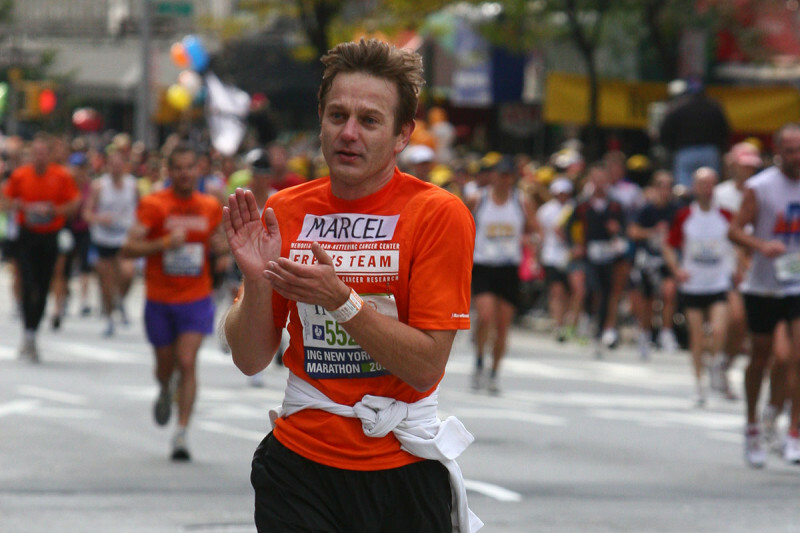 On November 4, Marcel van den Brink will join more than 900 other Fred’s Team participants at the starting line of the TCS New York City Marathon. They will not only be trekking 26.2 miles but also raising funds and awareness for cancer research at Memorial Sloan Kettering. 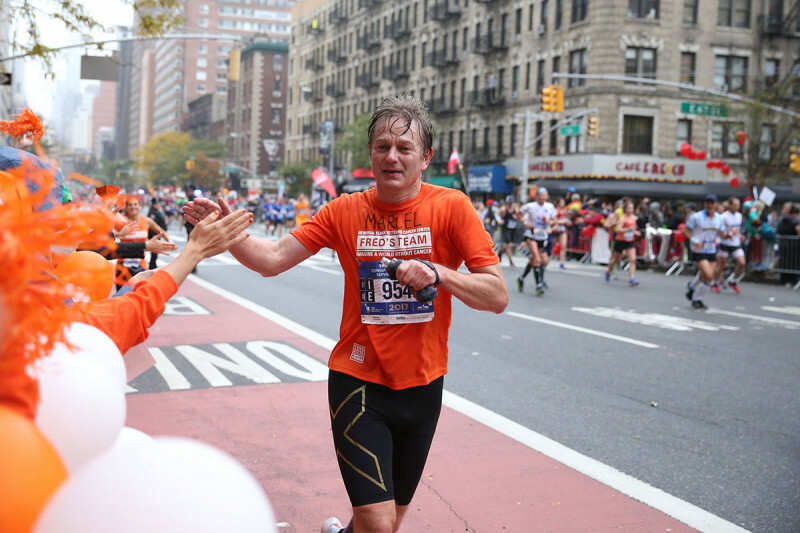 Dr. van den Brink, who is Head of the Division of Hematologic Malignancies at MSK, has run marathons with Fred’s Team since 2005. The group was founded in 1995 in honor of Fred Lebow, who co-founded the New York City Marathon and was treated for brain cancer at MSK. 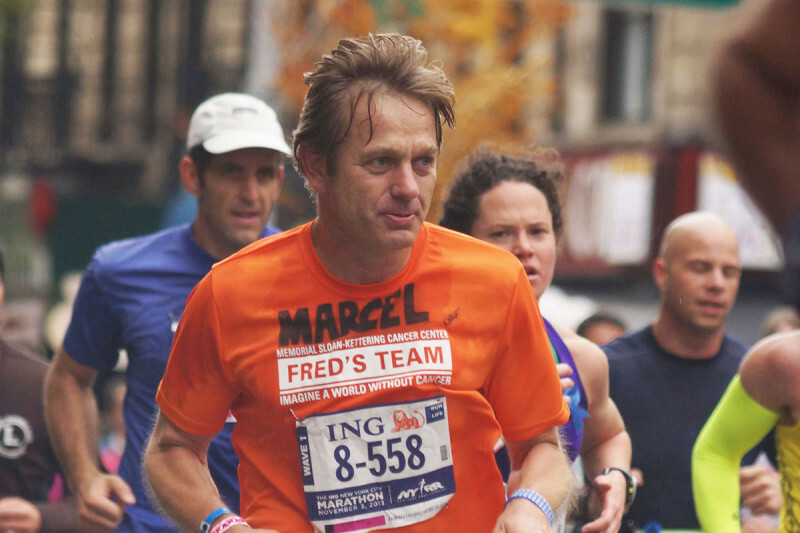 Weeks before this year’s marathon, Dr. van den Brink spoke with us about why the cause is so important to him — and the groundbreaking advances that have come out of Fred’s Team’s efforts. How did you get involved with Fred’s Team? I’ve been running marathons for a long time — since I was in medical school 31 years ago. When I was hired by MSK in 1999, I received some research funding from Fred’s Team. 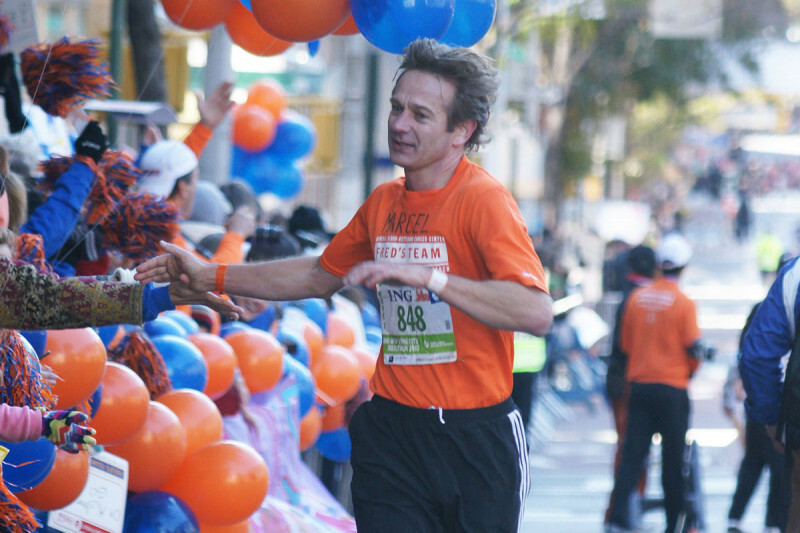 A few years after I received that grant, I joined Fred’s Team and have been running with them every year since. 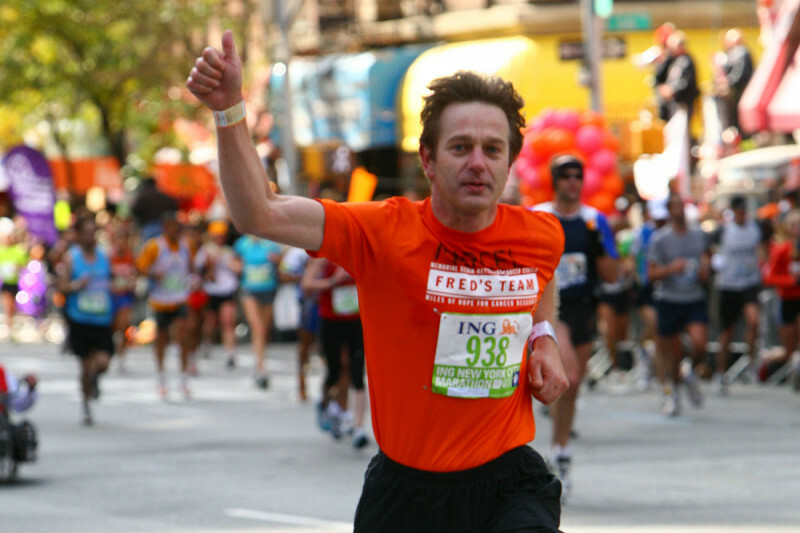 I run the marathons in Chicago, New York City, and Boston every year with Fred’s Team. What inspires you most about your fellow Fred’s Team members? I’ve always been amazed by the spirit of Fred’s Team runners, seeing them on the bus on the morning of the marathon or at events before. You hear that they’re running for a friend or a loved one who went through cancer. I see so many different people running — folks with busy jobs and busy lives from different walks of life — and they’re all dedicated to this one cause. 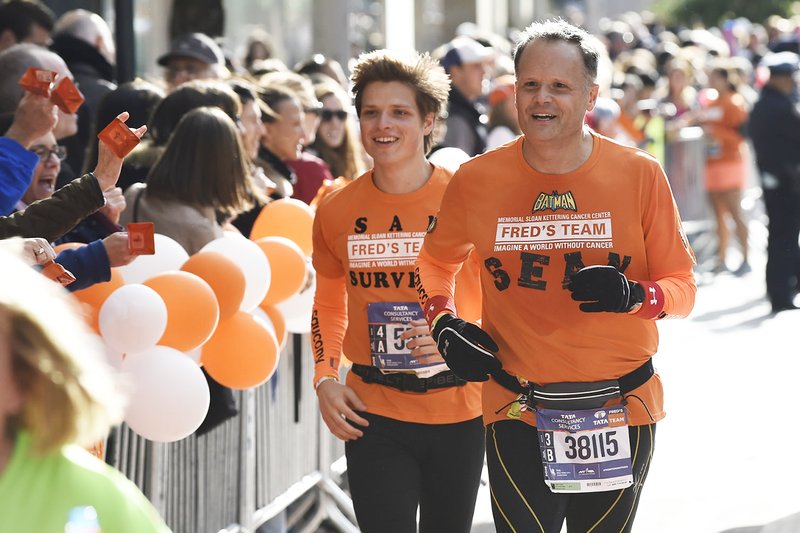 Hear from five Fred’s Team members about why they’re running the New York City Marathon in 2017. Your job at MSK must keep you busy. How do you find the time to train for a marathon? Efficiency is key. I have a simple structure. I try to have no meetings past 6 PM. I live less than five minutes from my office at the Zuckerman Research Center, so when I get home, I immediately go for a run. Then I have dinner with my family and finish up any more work. I try to run most days during the week and do a long run on Sunday. I usually go along the Hudson River up to the George Washington Bridge, or I’ll run over to the East River and down around Battery Park and then back up alongside the Hudson to Central Park. I also travel a lot to conferences. Running is fantastic in that regard: I can wake up a little earlier than usual for a conference and go for a run. It’s really nice to be able to put a pair of shoes in your suitcase and see places all over the world just by running. How have you seen Fred’s Team fundraising affect your research at MSK? As head of the Division of Hematologic Malignancies, I can say firsthand that Fred’s Team funding benefits our research. Every year Fred’s Team distributes funds to our service chiefs so they can decide how to allocate it within their groups. Fred’s Team provides critical money for a variety of programs. For example, investigator-initiated trials are especially difficult to fund. These studies come about because of an idea by one researcher or a group of researchers. With funding from Fred’s Team, we can start these studies and see them through. 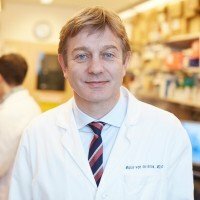 MSK is really in a unique position among major academic centers and other cancer centers to benefit from an amazing fundraising effort like Fred’s Team. MSK is devoted to translating basic scientific discoveries into therapies that benefit people with cancer. When it comes to research, everyone here is asking the same questions about any new idea or finding: How is this relevant to cancer? And how can we bring it to the clinic to benefit patients? We have the talent and mind-set at MSK to develop novel therapies. Marcel is an amazing doctor, scientist and mentor. Our family thanks him for everything he has done. Dear Chad, thank you for your kind words. We will forward your comment to Dr. van den Brink. Dr van den Brink Is an amazingly passionate doctor. He cares not only for his patients but other doctors’ patients at MSKCC. Marcel is an example of the standard of care that others should emulate.